Sessions include professional baseball or softball instruction, encouragement, Gospel message, and a prayer. 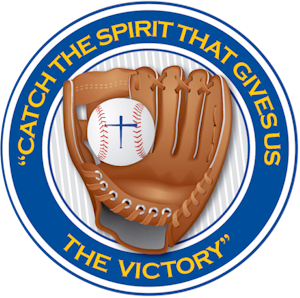 Sandlot Ministries, Inc. is committed to sharing the Gospel of Jesus Christ, while utilizing baseball, softball, and sports, in order for participants to “Catch the Spirit that Gives us the Victory!” Therefore, participants, parents, and coaches will experience professional instructional skills, building trust, integrity, zeal and fervor for the gifts and talents blessed by God. Stan is the Founder and President of Stan Lovins II Ministries, Sandlot Ministries and Victory Fire Events, all Christ centered Evangelism Ministries that utilizes Power Evangelism, Community Outreaches, Baseball and Softball Instruction and Clinics to share the love of Jesus Christ with communities all over the USA and the World! As an inner-city youth in Indianapolis, IN, USA, Stan grew up in an impoverished home that faced many challenges of brokenness, abuse, poverty and despair along with his five sisters. He had no knowledge of who Jesus was during his youth and early adulthood so he poured his heart into sports and pursued a career as a Professional Baseball Player. After graduating as a standout College Baseball Player from Marian University, Stan played 3 years of Independent Professional Baseball and Winter Ball with the Houston Astros as a Shortstop. Due to injuries sustained during a life changing car accident from a cab driver that ran a red light in January 1997, Stan went through six months of Rehabilitation Therapy for his injured back, shoulder and knee. This accident prevented him from reporting to Spring Training with the Tampa Bay Devil Rays, resulting in the end of his Professional Baseball career. Stan then cried out to God for Truth to overcome his past hurt and despair from losing what he thought was his only hope to succeed from where he came from. Stan experienced for the first time the Resurrection Power of Jesus Christ after experiencing a widow woman’s lifeless body come back to life in his very arms. On December 1, 1997, Stan repented of his sins and gave his heart to Jesus The Christ as his personal Lord and Savior. He began his Born-again life centered on the Victory of Jesus Christ, leading eight people to Jesus in the first two weeks. 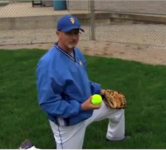 He quickly began utilizing his love of the Gospel and many years of experience in baseball and sports to instruct students, players, parents and coaches on how to live a powerful and victorious life in Christ. Stan continues to share the Gospel to millions through One on One Evangelism, Community Outreaches, Churches, Revivals, Tent Revivals, Group Meetings, Business Meetings, Schools, Universities and Colleges, Sports Teams, Ball Parks, Stadiums, Urban Street Outreaches, Crisis/Disaster Response, Television, Radio, and multiple Social Media Platforms. 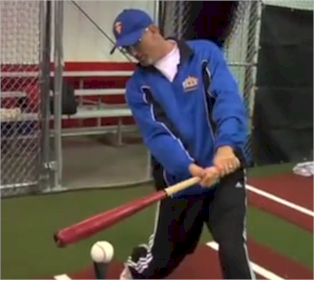 As a Coach and Professional Baseball Instructor, Stan has been blessed to Professionally teach thousands of players Nationally (USA) and Internationally for over 25 years. Twenty-nine of these young men so far have been promoted to playing Professional Baseball at various levels including three players playing Major League Baseball. Stan instructed the 1999 and 2001 Brownsburg Indiana Little League World Series Finalist Teams, as well as the 2002 Central Regional Finalists. Stan has preached in the USA, Liberia and Ghana Africa, Haiti and Honduras. He is an International Director of Evangelism with Stars for Christ for the 2020 Summer Olympics in Tokyo, Japan. 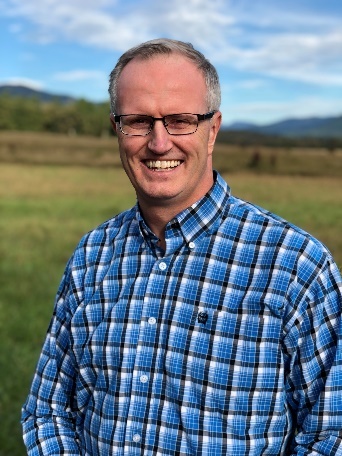 Stan is the Vice President on the Board of PreBorn and the former Indiana State Coordinator with the Billy Graham Evangelistic Association and Decision America Tour with Franklin Graham. Stan is blessed to be married to his beautiful wife Camille. They are honored parents of their four sons and currently residing in the Indianapolis, IN area. Expect a transformational miracle in your life today! "I started coming to Sandlot Ministries when I was a senior in high school. Quickly I realized what exactly I had been missing out on all these years. Within one month, I saw a vast improvement in my swing, my glove, and my arm; and I think my teammates and my coach did as well. The way Stan was able to pick out my niches and weaknesses truly amazed me. The revelation I found in my game advanced me above and beyond all my competition. Not only did Stan mentor me on the field, but off of it as well. Going through a few things at home and at school, Stan gave me insight on how to overcome those issues. Today, three years later, I am the captain and star player on my college baseball team, leading my own ministry, and see miracles of God daily. Although I give all the honor in glory to Jesus Christ, I know that I could not have gotten to where I am today without the prayers, support, and passion behind Stan Lovins and Sandlot Ministries". "Nick got MVP in the AJAA finals today. He came about afoot form putting one over the fence!!! He did that twice! The umpire said he’s never seen a kid that age hit the ball so hard!!! Thank you!! "I’m proud the Lord led us to you!!! Your the man, changing swings and saving souls!!! That’s you! After the FCA meeting was over, I went up to Stan to speak with him about baseball and asked him if he could give me some baseball lessons (completely throwing the lesson out of the back of my head) and Stan asked me some questions about what I wanted to do with baseball and where I wanted to go and was truly interested in what I wanted to do. I ended up going to get baseball lessons from Stan and at some point during the lesson Stan ALWAYS made sure to teach me about the LOVE of Jesus Christ. As I learned I was completely dumbfounded to hear that this was how it was. I had a hard time believing this at first because all I had known was being beat down by the bible. As I grew in the word and started studying it I started to see that this was the truth, that God wants us to be uplifted and go forth and teach his LOVE! The lessons turned into working for Stan giving lessons and witnessing the Love of Jesus Christ to other kids who came in. Stan helped me (a boy who had no self-esteem) see that my confidence should not come from how the world sees me, or from baseball, or from anything other than GOD and knowing that he died on the cross so that I could be saved and spend the rest of eternity with him. When I realized this, it changed my entire life. I then realized that God had sent Stan into my life to be a spiritual father because I had no other father figures in my life. Gods plan to bring Stan into my life as a spiritual father ended up helping me realize that I had always had my TRUE father with me every step of the way. I thank God every day for bringing Stan into my life, and I know that the impact that Stan and Sandlot ministries has had on me has truly saved my life, and countless others. God is truly working through him to save thousands of souls!